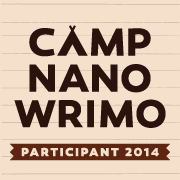 Ruby Ransome: Live blogging the NaNoWriMo kickoff! 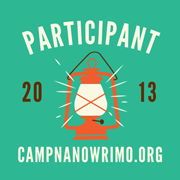 Live blogging the NaNoWriMo kickoff! 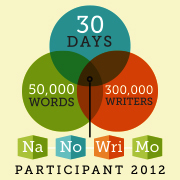 Internet connection is spotty, but I wanted to pop in from the NaNoWriMo kickoff. There are tons of us here — not sure if we're going to surpass last year's count (which was 76 or 77), but if we don't I'll be surprised. I think there are at least 50 of us on the side of the store where I'm sitting, and that's not counting the seating area right in front of the cafe counter and the "quiet reading" area on the opposite side of the store. 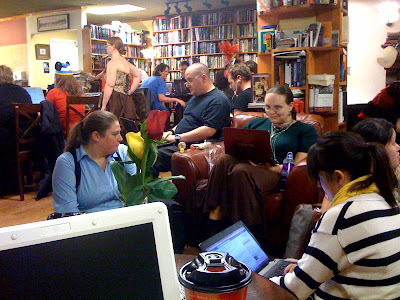 We're having the kickoff party at Fireside, a 24-hour used bookstore and coffee shop in South Denver, actually in the small city of Englewood in the south Denver Metro area. This place is AWESOME and besides last year's kickoff party, I did numerous write-ins here last year, not to mention the occasional late-night writing session when I've had a deadline and needed some caffeine and a different environment in order to stay awake to finish. Last year I came an hour early (at 9pm) to make sure I got a table for me and my friends, since I already knew the place and knew it was small. I was glad I did, because a lot of people ended up sitting on the floor. This year, I tried the same thing, but the place was already packed when I arrived — others had the same idea, after last year's craziness. This quick iPhone picture doesn't show much of the store, but the entire place is equally as packed as in this picture, so it will give you an idea of how many people are here. The MLs brought goody bags for everyone with NaNo stickers and a couple of little fun things in them. This is my itty bitty frog buddy. I've decided he is my word count frog. Hello word count frog. 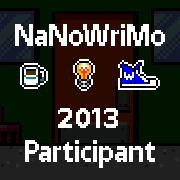 Please bring me lots of luck in NaNo this year! Ruby Ransome is just your average, fun-loving flapper — until she realizes there is something sinister lurking behind the careless opulence and organized crime of the Roaring Twenties. Ruby Ransome and Pandora's Box is about her introduction into the world of vampires. 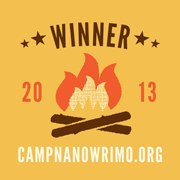 Katharine Swan is a freelance writer living in Denver, Colorado. Although she's been living by her pen for more than seven years, she's been writing fiction for fun since childhood. When she's not writing, you'll find her reading or riding her horse, Panama. 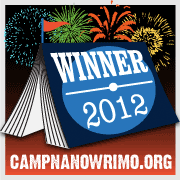 Copyright © 2011 by Katharine Swan Leppert. Awesome Inc. theme. Powered by Blogger.